For anyone out there like myself, who enjoys spending quality time reading, especially now that it’s Spring and being outside it so nice, then I have a recommendation fro you. 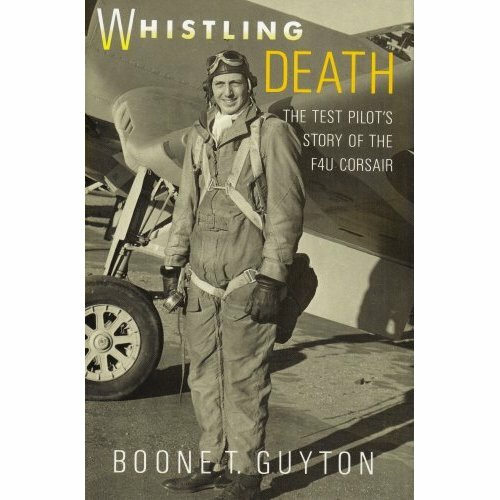 A book that i just finished reading, Whistling Death, goes deep into the engineering factors of test piloting the F4U Corsair. It’s written by Boone Guyton, who sadly is no longer with us, and test pilot of the Corsair. It’s truly an amazing story with lots of facts, personal insights of the time and an inspiring story of how one man was so lucky. If you’re into Aviation History, or planes, or engineering then it’s a good read for you.